Michelle began working as a junior in a law firm from a very young age. 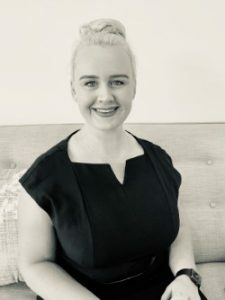 After working through junior level work Michelle was promoted to working alongside a Solicitor in the firm carrying out the legal work on behalf of Aussie Home Loans. During this time Michelle gained extensive knowledge in the preparation and creation of Mortgages and security interests. She also discovered a passion for Old System Title where it was imperative to ensure that the Lender was receiving ‘good security’ in old system title properties. With drive and ambition to advise on property law, Michelle decided to embark on Conveyancing Law & Practice at Macquarie University and continued to do this whilst working with the same inner city law firm. Michelle was awarded ‘TOP Mark’ for ‘Contract Law’ and excelled through out the course. Michelle graduated and became a licensed conveyancer in 2001. Shortly after she began working for East Coast Conveyancing Newcastle. During employment with East Coast Conveyancing Michelle undertook a branch management role and continued working for the company for 7 years where crucial experience was gained in dealing with the complexities of property law. 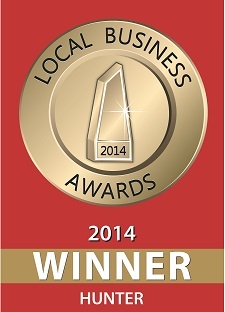 In 2006 Michelle decided to embark on her own venture which was to be the inception of KENT Conveyancing. Just under 9 years on Michelle stands by her passion for property law and delivering superior customer service. When Michelle is not working she enjoys time with her family, sporting activities and recreation together with shopping and socialising with friends. After completing High School, Felicity enrolled into Office Administration Certificate III and during her studies was offered a position in the Conveyancing Industry in 2001 as an office junior. In 2002, Felicity was promoted to a Secretary and was learning all aspects of conveyancing and completed a Conveyancing Assistant course with the Law Society of NSW. Felicity was a Conveyancing Assistant for the next 4 years and gained an excellent understanding with the procedures involved in conveyancing transactions. At the end of 2005, Felicity resigned from her position to start a family. Over the next 8 years Felicity was a stay at home Mum but was also employed to do office administration for a small pest control company. Her responsibilities included all of the administration aspects of the business and showed excellent organisational skills. In 2013, Felicity decided to go back to work full-time and joined the team at Kent Conveyancing. In 2014 Felicity enrolled in Macquarie Universities Conveyancing Law and Practice program. In 2017 Felicity graduated top of her graduating class receiving the Dale Turner Award for 1st place. In receiving this award, Felicity’s name is recorded on the walls of Macquarie University as recognition of her achievement. Felicity is certified as a Practising Licensed Conveyancer who has excellent knowledge and experience with conveyancing and is a great asset to our team. Nadia started working for Kent Conveyancing at the end of 2013. She has worked hard over the last four years to attain her Bachelor Degree in Communications majoring in Media Production. While completing her studies, Nadia worked two jobs in retail and hospitality, both of which required outstanding customer service. Since starting at Kent Conveyancing, her customer service towards our clients and attention to detail has been one of her many attributes. She excels in communicating and empathising, not only with our clients but with the people around her. Some of her best attributes are her organisation skills and leadership qualities. Nadia is known for her friendly disposition and is always seeing the positives in life. She is a hard worker and is not afraid to be given a challenge. She prides herself on being able to approach a task and tackling it head on. Nadia has completed Conveyancing, Law and Practice via correspondence through Macquarie University whilst gaining the must-have practical experience. Nadia received ‘TOP MARK’ in Professional skills and is applying the knowledge she gained to every property transaction. Having so much practical knowledge of conveyancing Nadia is now a certified practicing Licensed Conveyancer. Nadia enjoys working on her personal fitness and socialising with family and friends in her down time. Brenna joined the Kent Conveyancing team mid 2014 as a Legal Administration Trainee. She has recently just completed studying Certificate 3 Legal Administration and has proven very successful in her studies. She is highly motivated to excel in all aspects and hopes to pursue a career in property law, as well as developing the skills she already possesses. Previous to Brenna joining the Kent Conveyancing team, Brenna worked in the hospitality industry for four years. She brings with her great customer service and understanding that every client is different and is able to assess and facilitate these needs. She is very personable, friendly and will always greet you with a smile. Brenna’s drive, passion and ambition make her always perform at her best to get the best results for our clients. She understands that it is much more than selling a house, it’s a complete life change and she is passionate about making that change as smooth, easy and stress free as possible. Brenna prides herself on being highly organised and making sure there are no loose ends. She makes sure that we have everything we need to make selling and buying property a breeze. After completing her Higher School Certificate, Caitlin began in the workforce in 2014 working in the hospitality industry, gaining her exceptional customer service qualities. Whilst working, Caitlin attended TAFE completing Certificates in Community Pharmacy, Business Administration, and Business Administration (Medical). After completing her TAFE, she completed short term contracts in administration in the medical, building and accounting industries. In early 2017 she commenced her career in Conveyancing, working in a busy Law and Conveyancing office in the central coast as a Receptionist. In this position she gained knowledge in collating fast contracts and a skill of high attention to detail. 2018 she began her new position with Kent Conveyancing as a Conveyancing Assistant, working along side licensed conveyancers. Caitlin is currently studying with Macquarie University in Conveyancing & Law Practise, when she is not working and studying she enjoys activities with friends. Here at KENT Conveyancing we have a compassionate approach towards our clients and understand that property dealings can come about with some of the most difficult situations life can serve up.